Hi there, my fist post on here. I was on the former Silent Hill Forum too, and finally decided to register here. I'm a 3D modeller, and art of Silent Hill has always been a good source of inspiration. 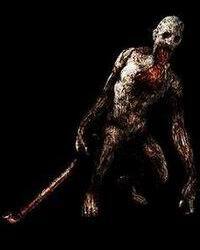 Now I saw this small picture of SH4 Rubber Face - New Type (shown below), and haven't been able to find any bigger version of it.